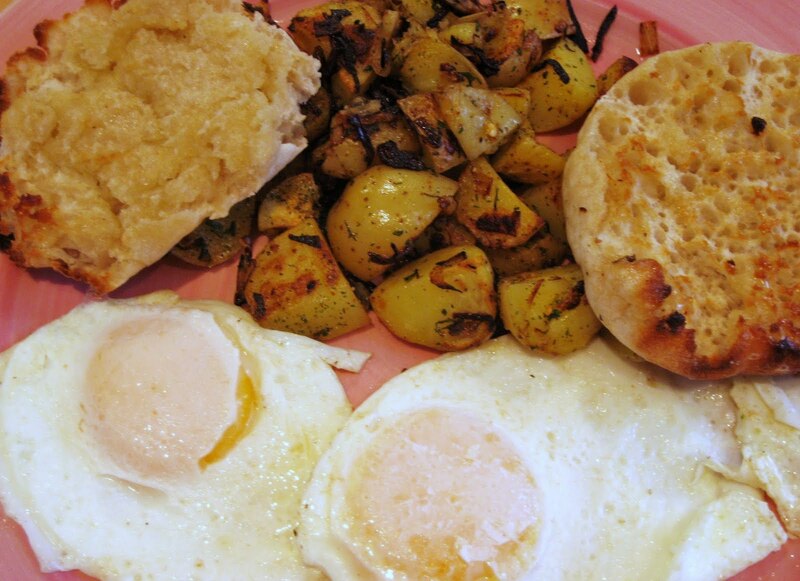 My family absolutely loves breakfast and this quick side dish makes breakfast a little more special. Best of all, it's super fast. 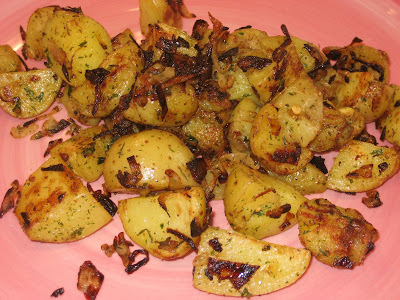 I like using Yukon Gold potatoes because they are so creamy tasting and I like using the Baby size because I like a little of the thin crispy skin in every bite. 1. Cut the potatoes into bite sized pieces and place in a glass bowl. Microwave uncovered for 5 minutes until tender. 2. 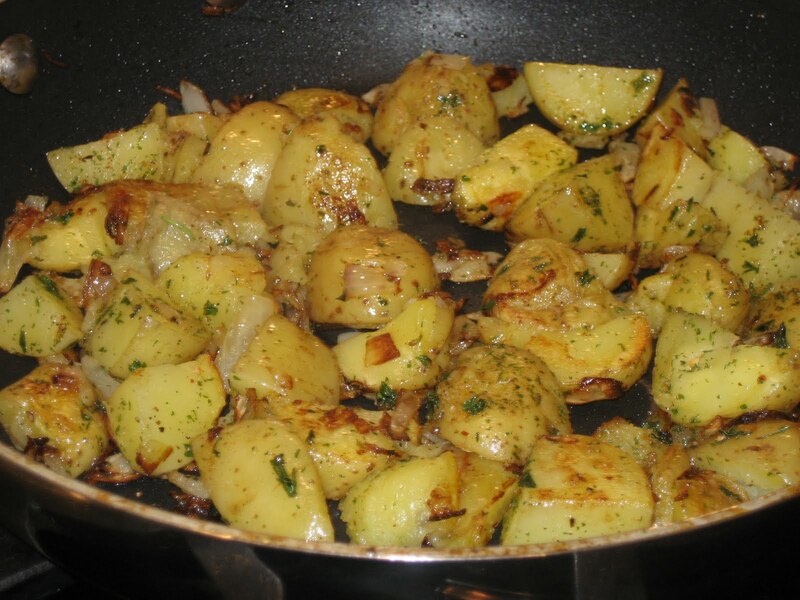 Meanwhile, over medium heat, melt butter in a large skillet and add onion and cook for 1-2 minutes while waiting for the potatoes. 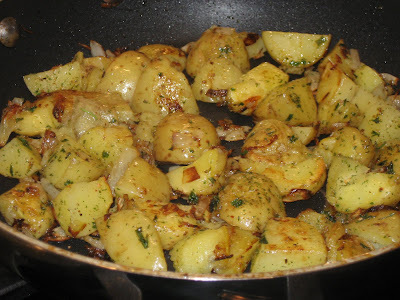 Add potatoes and all seasonings and give a good stir and cook for 5 minutes until potatoes are browned. A delicious breakfast for Mr. Hill!